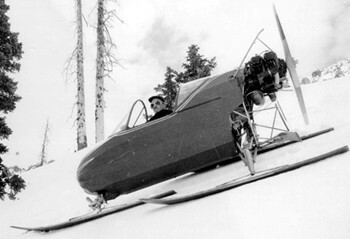 The Kristi Company started by building Sno-Planes. Only a handful of Kristi Sno-planes were built. We have only found one Sno-plane. The following is a filtered view of the official Kristi vehicle logbook displaying the KS-1 model. Click the serial numbers to the left to view KT-2s in the registry. If you have a KT-2 and would like to add to the registry, just email us.